Princeton Review LSAT Prep: Is Princeton Review the Course for You? Princeton Review LSAT Prep is a decent LSAT course. To help you determine if it’s the right course for you, I’ll discuss the history, pros and cons, course packages, rating, and ideal candidates for Princeton Review. 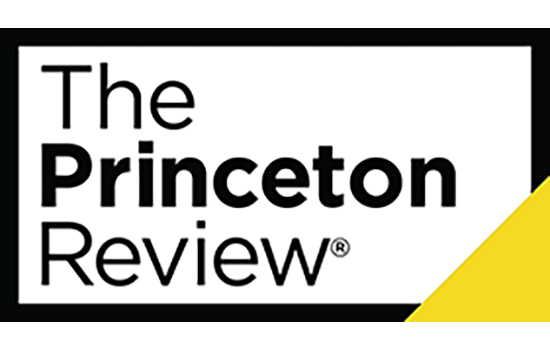 Princeton Review is one of the largest test-prep companies and offers services for exams ranging from the ACT and SAT to the MCAT and LSAT. For LSAT prep, it offers both online and self-paced online courses and in person and online tutoring. So, the Princeton Review LSAT prep passes the two major tests. First of all, it uses real LSAT questions for its study materials, and if you keep up with our articles then you know how important this is. And, maybe even more importantly, the course instructors have scored at a high level on an actual LSAT exam. To qualify for instructing the LSAT at Princeton Review, you must have scored at least a 170 on the LSAT, which is the 97th percentile. This is a favorable level compared to competitors such as Kaplan, which requires an unofficial score of the 90th percentile, and TestMasters, which requires scores in the 98th percentile. Furthermore, Princeton Review’s online courses are given at competitively affordable rates and their tutoring packages are actually some of the most reasonably priced that we’ve seen from companies of this size. However, Princeton review is limited by the fact that all of their courses are only offered online. Students who prefer in-person instruction will be at a disadvantage with Princeton Review. Overall, Princeton Review’s LSAT prep is an effective option for students looking specifically for online courses. Based on my experience with this course, I give it a rating of 3.75 stars out of 5. So, should you enroll in Princeton Review for your LSAT prep? That depends. Princeton Review’s online courses are effective options for forming a conceptual basis of understanding for a student’s LSAT prep. The courses have the structure and material to get you to have a basic understanding of the individual sections on the exam, and the different question types in each section. However, these courses won’t make you an expert on the LSAT, and they won’t be able to help student’s who are already scoring at a high level. Therefore, Princeton Review’s online courses are an effective option for students looking to increase their scores from the 140s to the 150s or low 160s, and for students looking to increase their scores from low 150s to high 150s and low 160s. And, Princeton Review’s online courses can be a great starting point for students looking for larger score increases, such as students wanting to go from the 140s to 160s or students looking to go from 150s to 170s. But Princeton Review’s online courses will not be the best option for students with diagnostic scores already in the 160s, or for students that have already been through LSAT prep and are scoring in the 160s. For those students, though, Princeton Review’s online and in-person tutoring packages could be effective. Start Your Free Princeton Review Trial!